Amandla’s Zahra Moloo talks to Asad Ismi, International affairs correspondent for the Canadian Center for Policy Alternatives Monitor and author of the radio series “The Ravaging of Africa”. Ismi speaks about the role of US imperial policies in the Sudan and South Sudan. South Sudan and Sudan at risk of going to war? South Sudan observer David Widgington talks to Amandla’s Gwen Schulman about the recent increase in tensions between South Sudan and Sudan. 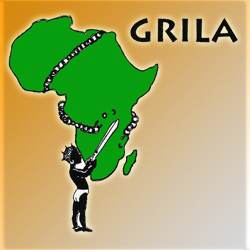 Ameth Lo a member of the Group for reseach and initiatives for the liberation of Africa (GRILA) talks to Amandla’s Gwen Schulman about the latest revelations in high level political relations between France and several african countries. Amandla’s Diana Sharpe looks at the largest land deal yet in South Sudan and the fight against it by a local community. Doug Miller talks about the popular mobilisations in Swaziland, elections in Zambia and Red Wednesdays in Malawi. Boris Keonig, membre du collectif Amandla présente une entrevue avec Jean Loup Amselle, anthropologue africaniste et rédacteur en chef des Cahiers d’études africaines. 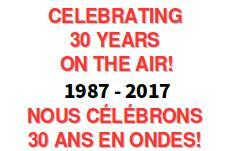 Amselle se trouvait récemment à Montréal dans le cadre du colloque “Des analyses tiers-mondistes aux études postcoloniales” organisé à l’UQAM. africaniste; il présente le courant postcolonial, ses critiques et cadre cette perspective par rapport au tiers-mondisme; et enfin, il présente une analyse sur le CODESRIA (le Conseil pour le développement de la recherche en sciences sociales en Afrique) depuis sa création par Samir Amin en 1973. Afrah Aden talks to the Alexandra Sicotte-Lévesque about her film The Waiting Room: Sudan at the crossroads that follows 4 young people for 2 years up until the secession of South Sudan. Amandla’s Gwen Schulman and Diana Sharpe take a look at landgrabs in Africa. On the eve of South Sudan’s independence, Munish Persaud from CHF, who has just returned from a trip to South Sudan, talks to South Sudan Info’s David Widgington about the situation there. Gwen Schulman speaks to Ugandan human rights advocate and close Sudan-watcher, Sam Olara, on the very great challenges facing Africa’s newest country. Thiat, one-half of the group Keur Gui de Kaolack (with Kilifeu), and one of the most vocal leaders of the youth opposition mouvement Y’en a Marre in Senegal, was arrested during massive protests that erupted following President Abdoulaye Wade’s proposed electoral reform bill which would have seen the minimum percentage of votes required to be elected drop to 25%. Parker Mah speaks with Thiat over the phone about the events surrounding the protests as well as the Y’en a Marre movement and their mission. Audio links are effective for 6 months after posting. Posted on July 7, 2011 July 7, 2011 by AmandlaPosted in Senegal, south sudan, SudanTagged South Sudan, Sudan, Thiat, Y'en a marre. Doug Miller gives gives an anti-imperial analysis on the uprisings in North Africa. In the second half, David Widgington looks at the referendum in South Sudan.